Home / Data Center Power Management: What Makes an iPDU an iPDU? Data Center Power Management: What Makes an iPDU an iPDU? Although intelligent rack PDUs (iPDUs) are becoming more common in today’s data centers, many organizations are still choosing and using basic or “dumb” PDUs instead of the “smart” devices. iPDUs have several advantages over their unintelligent counterparts, particularly when it comes to efficiently managing power and energy. However, the costs of managing these expensive and often power-hungry facility items can make data center managers wary of purchasing them. To some data center professionals, iPDUs may appear to bring extra expenses and complications without tangible benefits. However, when used in conjunction with Data Center Infrastructure Management (DCIM) software or other data center monitoring software tools, iPDUs can provide key benefits that make them worth the additional data center management costs. What Makes an iPDU an iPDU? Metering. Most iPDUs provide some level of metering, whether it be at the unit, inlet, and/or outlet level. Metering enables you to understand and trend power usage and capacity data so you can more accurately provision resources and improve efficiency by tracking metrics like power usage effectiveness (PUE). Network Interface Cards/Controllers. NICs allow you to connect to and access your iPDUs over a network enabling remote control, power actions, and other functions critical for data center management. Remote management. When enabled by NIC cards, some iPDUs allow you to perform power actions like switching devices on or off and power cycling them—from anywhere, at any time. This saves time and money for colocation data centers and other facilities where there’s not always a technician on site to reboot servers. It’s also helpful when you’re recovering from a disaster and need to keep your business-critical operations running while cutting off power to non-essential systems. Environmental sensors. Environmental sensors attached to iPDUs can collect temperature, humidity, pressure, air flow, and other data that can be aggregated and then analyzed with your data center software to avoid hotspots and overcooling. Firmware updates. You can typically install firmware updates on intelligent PDUs to ensure smooth operation, including any enhancements and fixes released by the manufacturer. SNMP trap notifications. Many iPDUs provide SNMP alerts that can be triggered based on certain conditions (such as out-of-threshold temperature and load) and that can be queried for data collection and data center monitoring. Security management. Newer iPDUs might have contact closure and powered dry contact door locks for cabinets and containment areas. Many also offer secure access and authorization to devices using encryption protocols, passwords, and directory services. The host of features available with iPDUs justifies the cost to most data center managers, but for others, another concern emerges: Do iPDUs require more work to manage and maintain? After all, modern data center managers are already being tasked to do more with less. Hardware that requires too much time to configure and maintain may not be worth the effort. That’s where DCIM comes in. Firmware updates for iPDUs are typically a nightmare for data center managers, especially those in enterprise data centers that house a variety of makes and models. A comprehensive DCIM software solution should include the capability to allow bulk firmware updates that can be run as often as needed, so you can push updates to multiple iPDUs over the network instead of manually updating each iPDU with a CD-ROM or flash drive. Cloning and restoring iPDUs from backups can help you ensure that your iPDUs are always configured appropriately. Additionally, iPDUs can be set to maintenance mode, decommissioned, or returned to service through the software so you can quickly and easily manage your hardware through maintenance. Security is similarly easy, with the ability to bulk update the passwords on the iPDUs and reflect these changes in your data center management software. As a bonus, DCIM software enhances and extends many of the features and capabilities available with iPDUs in an integrated, single-pane-of-glass interface. Data collected from iPDUs can be quickly visualized and analyzed with dashboards that pre-select the best chart for the data for you. Remote management and power actions can be done through the same UI, and then the appropriate data will be collected by the system. Door access and security can be managed the same way. Rather than try to collect and manage information from and about your iPDUs from the iPDU web GUI, you can leverage DCIM software as a single source of truth for all your data center monitoring needs. Data center managers who choose iPDUs mainly do so to improve their data center power, energy, and environmental management. Those who do not, often cite unnecessary costs and maintenance requirements as reasons for preferring unintelligent PDUs. 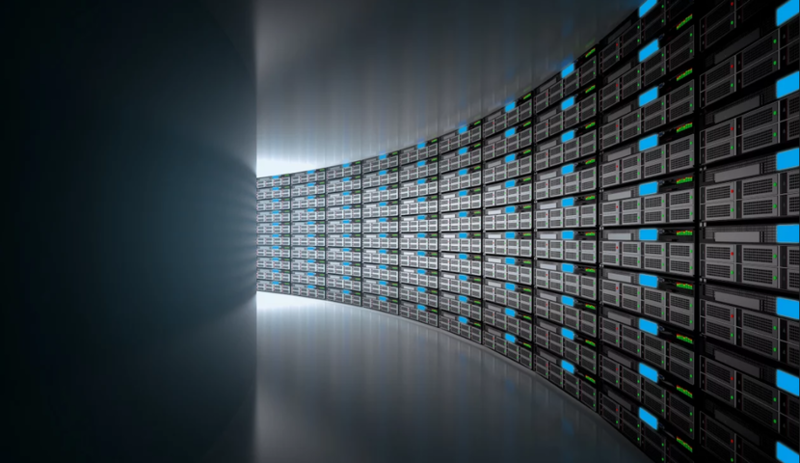 However, robust data center management software can alleviate these concerns and help you maximize your iPDU ROI. Ready to realize the value of iPDUs in your data center? Take a test drive of our Power IQ software today. Originally published August 11, 2017; Updated August 10, 2018.